Allegorithmic has announced Substance Days: a three-day celebration of its industry-standard texturing packages Substance Designer and Substance Painter, held at Gnomon’s Hollywood campus next week. The event, which is sponsored by Gnomon, Pixologic, Side Effects Software, and Game Connection, takes place from Thursday 21 July to Saturday 23 July, and will be partly broadcast free worldwide on Livestream. Substance Days provides an unusual chance to discover the texturing workflows of leading visual effects studios and game developers, including Naughty Dog, Blizzard, Treyarch, Sony Santa Monica and Blur Studio. The event comprises two days of small-group masterclasses, held in Gnomon’s classrooms, rounded off with a keynote by Allegorithmic CEO Sébastien Deguy. For the final day, the format switches to presentations by leading Substance artists, including Naughty Dog’s Christophe Desse and Rogelio Olguin, Sony Santa Monica’s Glauco Longhi, and Blur Studio’s Leo Ribeyrolles. The day will conclude by a glimpse of Allegorithmic’s road map for the Substance products, and a public Q&A. The event will be accompanied by an exhibition of the best recent art work created using Substance Painter and Substance Designer at the neighbouring Gnomon Gallery. The exhibition opens on the evening of Friday 22 July. 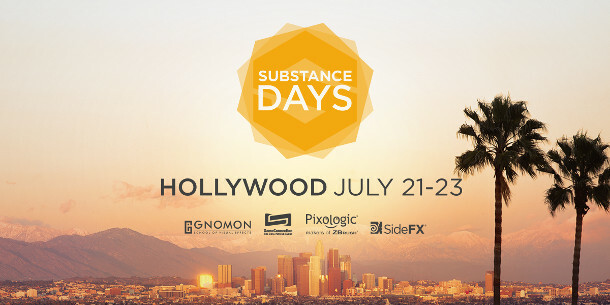 Substance Days takes place at Gnomon’s Hollywood campus from Thursday 21 July to Saturday 23 July. The keynote, gallery opening and presentations are free to attend, but you’ll need to register online in advance. The masterclasses cost $499 each, and again, you’ll need to pre-register. If you can’t make it to LA in person, the keynote and presentations will also be broadcast worldwide for free on Gnomon’s Livestream channel. 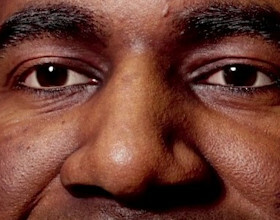 You don’t need to register in advance to watch the livestreams.